The overwhelming majority of professional firms price their services by the antiquated hourly billing method, a method with many flaws. 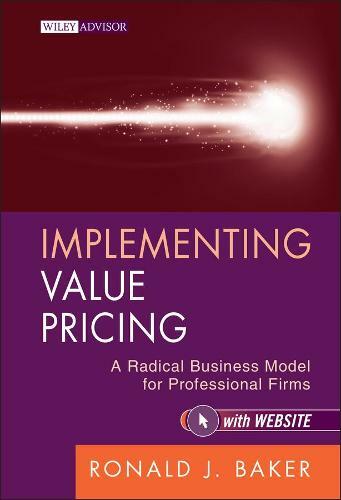 This new book demonstrates there is a superior model to price for professional services, a business model change from "We sell time," to "We sell intellectual Capital." Focused on the art of pricing commensurate with external value created, this volume uniquely views value as seen through the eyes of the customer. This is an essential resource for professionals in the accounting, law, IT, advertising, consulting, architectural, actuarial, and engineering fields.